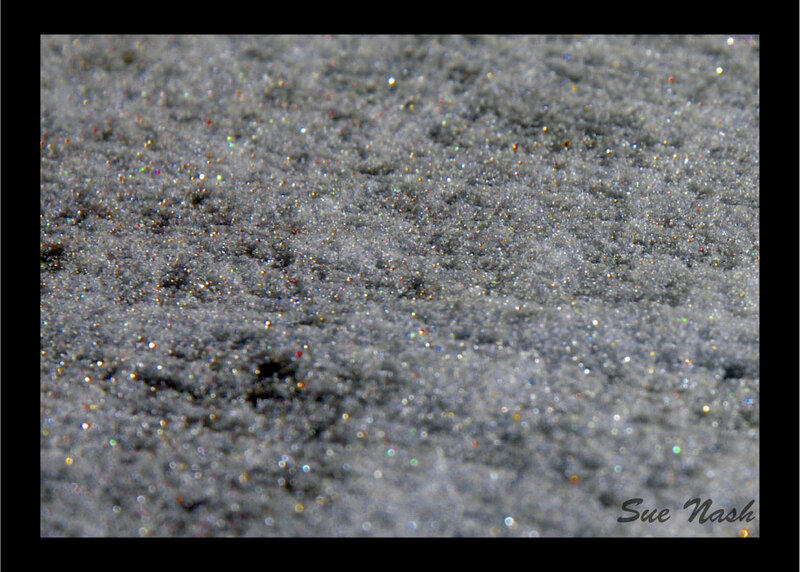 This photo was actually of sparkles on the snow, and I added some colors for the effect ~ Was too cold to go out before sunrise with my camera! While I was out walking my dog before sun-up recently, I noticed that there was a heavy covering of frost on the ground. Even though it was still dark outside, it glowed softly white. It wasn’t until I passed by a street light that I saw the marvelous sparkles on the frosted grass. The further I walked away from the lamp, the less the sparkles. Without the light, the ground was misty and solemn, but with it, alive with a symphony of dancing colors. All because of the light. Jesus is the light of the world. He illuminated the darkness. His coming brought more than a spark; He brought the brightest Light ever, because with it came hope for deliverance from the darkness brought on by the curse of sin. Jesus is the great Light who dawned on mankind. Without any other power source than Himself, as part of the Trinity, He enlightened with truth, dispelled the deception of the enemy and scattered the power of death for all who will believe. Unfortunately, not everyone flocks to the Light. Many prefer darkness to His magnificence. They would rather enjoy the pleasures of sin for a season. Knowing His love and the bright hope for the future He brings, I do not understand how anyone would choose immense darkness over great Light. But then, their problem stems from never having their understanding illuminated by the truth of Jesus. Like those frost crystals lying lifeless apart from the light, they would rather remain in the shadow of death than shine like a diamond on streets of gold. Me? I prefer sparkles. I choose to follow God’s great Light. I just recently began this study, I and am enjoying it as much as I do all of her writing at Follow the Light. This entry was posted in Random Thoughts and tagged Christianity, Frost, God, great light, Jesus, light, salvation, sparkle on February 5, 2014 by heavenlyraindrops. I love following God’s sparkles!!!! A wonderful post, as always!!! This would make a great post for around Christmas. I enjoyed reading this.